In the early 1800’s, thought to be around 1834, after living in his Rockbridge Road Plantation in the city of Lilburn for five years, Mr. Thomas Carroll instructed his slaves to construct six small frame buildings. Five of these were tenant houses or dwellings for slaves. But one was a church, a meeting place for the slaves to gather and worship. This small frame building became what we know today as Salem Missionary Baptist Church. It is thought that before the Church was constructed, slaves worshipped at the Camp Creek Church in Lilburn. Not only did slaves owned by Mr. Carroll attend this early Salem, but, also by those owned by the Pickens, McDaniel, Carter, McCurdy and Hunt families. This Church operated under the auspices of the Carroll Plantation for approximately thirty-two years. In the year of 1862, in the midst of the Civil War, Mr. Darling Carroll, son of Thomas Carroll, donated a parcel of land to the “slave church.” These new freed slaves with the help of Mr. Carroll, built the second “meeting house” across the street from where the Church presently stands. Here, the Church was formally organized as it’s own sovereign body. The record of our beginning at Salem indicates that the Church was founded by a few determined people whose family names include: Stevens, Nesbitt, Bailey, Williams, Hopkins, Harrison, Phew (Pugh), McCurdy, McDaniel and Jackson (we feel there are others whose names were not recorded). These family names are still proudly recognized on our Church register. In November, 1886, under the spiritual leadership of Reverend S.S. Harrison, a committee was appointed to find a ground for a new church. The committeemen were Brothers Jones, Bryant, Nesbitt, Hopkins and McCurdy. The Committee went about it’s work and reported to the Church body in conference in December of 1886 that a suitable and affordable site had been located. A motion was brought before the body to vote on remaining in the existing location or moving to new ground. The motion was executed, but the Church was not in full peace and fellowship so the conference adjourned to meet again in December 1886. The records indicate there was much debate and uncertainty about moving to new ground. The Church body came together in conference in December, and immediately Reverend Harrison called for a standing vote by the entire body on moving to new ground. Those in favor carried the vote. The committeemen were authorized to finalize the purchase of new ground. A plea was made to all men to meet again on the first rainy day to cut logs and rip boards to begin construction of a new building (32×40 feet). The conference was adjoined by Reverend Harrison with the entire body in full peace and fellowship. Also, at this time delegates were sent to help organize the Hopewell Baptist Association. The Church served as a stabilizing force in the community, chastising it’s members for social, as well as spiritual iniquities. Members were brought before the body in conference for behavior in public unbecoming of Christians. Charges were often brought against members for going to parties, drinking alcoholic beverages, physically fighting, and against husbands and wives who did not show due respect for the vows of marriage, as well as various other reasons. Members who were absent from conference three times in succession were obligated by the church to present a lawful reason for their absence. Often a committee was appointed to sit with a member in prayer and fellowship when it was believed the member has acted in a manner beyond that accepted by the church. Salem Baptist Church and the church community accepted a form of communal practice until the early 1920’s. It was expected and accepted by the church community to sit with the sick around the clock. The church community lived off the land and often went to the aid of a neighboring farmer to help work his crops in times of family illness. This practice seemed to have stopped in the late 1920’s as a number of church members began to relocate in other areas of what is now known as Metropolitan Atlanta. Younger sons and daughters migrated to the Midwest, Settling in Chicago; and others moving to the northeast, settling in New York. Years passed, and the church family again found the need to acquire new ground and a new building. A committee was appointed to search for new ground. Following a diligent search, the committee reported to the church conference of an available parcel of land with two houses and a well, that was approximately one mile from the existing facility. In 1907 the church body agreed, by a show of hands, to swap deeds with one Mr. Massey to exchange Salem’s existing property for his parcel of land. The deeds were legally exchanged and the records indicate that the deeds were filed with the proper Gwinnett County office. It is by word of mouth that we can trace the beginning of the Salem Public School to the late 1800’s. Previously, a public school for colored children was located in the nearby community of Luxomini on the property of a black man by the name of Bill Darling. It is believe that the school, for reasons unknown, was moved to the Salem Baptist Church sometime between 1885 and 1890. The Salem school served to educate the youth of the the Salem church community until 1951. Salem prospered as a spiritual beacon in the Lilburn community until the late 1920’s. Families began moving away from the farm seeking other means of earning a living. 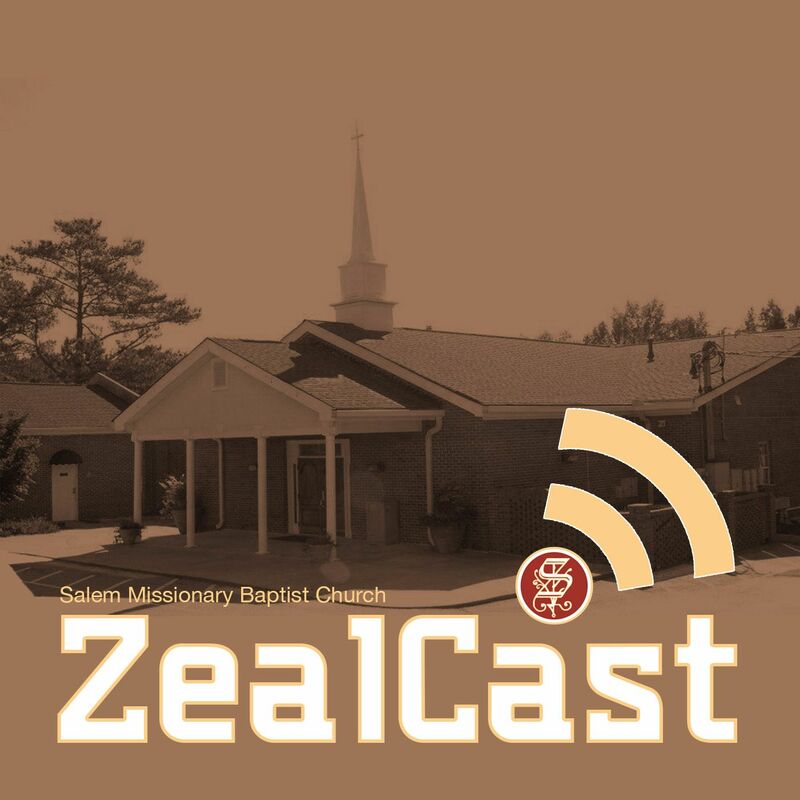 It was believed that Salem Baptist would perish. However, a few faithful families continued to serve at Salem and call on the name of the Lord. The congregation seemed to experience very little growth until the 1940’s when the Reverend C.B. Reeves was called to labor at Salem. Slowly, the church began to pick up in the Spirit and numbers. The goodness of the Lord found favor in our congregation, and the body moved to construct a new cinder block building on this site in 1961. This is the third building existing in this location. Baptismal ceremonies at Salem had been conduced in a pond (Young’s Pond) on property under the care of the late Robert B. Bailey. Brother Bailey was called from service to reward, and future baptismal ceremonies were moved to Hopkins Pond. Reverend Reeves was not satisfied with having to leave the church premises to baptize waiting candidates. In 1965, the church constructed the baptismal pool. On the third Sunday in September 1965, the congregation witnessed 27 candidates meet Jesus at the liquid graves on the grounds of Salem Baptist Church. Salem is indebted to Reverend C.B. Reeves for leading the flock through difficult times. He was instrumental in reserving Salem when it was seemed as though all support and growth had been lost. In 1978, the Lord saw fit to call Reverend Reeves home to a long deserved rest in His Kingdom of Heaven. God in His eternal way, had prepared a new leader for Salem and had him waiting in the brush for his calling. Shortly after the passing of Reverend Reeves, the Board of Deacons, under the leadership of Brother Alton Clark, called the Reverend Dewitt Sherrer to labor at Salem and lead it’s flock till evening. Reverend Sherrer labored at Salem for eight years. On the 2nd Sunday in June, Revered Sherrer resigned as Pastor of Salem. The congregation found itself again without a shepherd. Knowing that there was a light at the end of the tunnel, the family of Salem continue to work without a leader. Under the direction of the Board of Deacons and the Sons of the church, Reverend Golden Clark and Reverend Jerry Hutchins, the flock continue to grow. On the first Sunday in October 1987, the leader which the Lord had prepared for Salem delivered his first message as candidate for pastor. On the last Friday in November, the congregation called the reverend Richard B. Haynes as Pastor. From the first Sunday in February, when he delivered his first message as Pastor, the church has been on an upward course, prospering, growing and striving to do the will of the Master. History is the story of the past that seems to have a parallel course with the future. We are and should be proud of Salem’s past years, beginning in a midnight hour in the 1830’s, struggling to remain a spiritual force in the 1930’s and 1940’s. We are the heirs of a determined people who never dreamed of doing other than God’s will. Yet, we must be careful for the parallel courses of history are in our hands. From it’s humble beginnings, Salem has been a stabilizing force in the Gwinnett County community, a place of rest, refuge and worship. We thank God for the bold heritage and we praise Him for the anticipation of the bright future.